FIrst completed Benchy, please critique. Posted May 26, 2018 · FIrst completed Benchy, please critique. 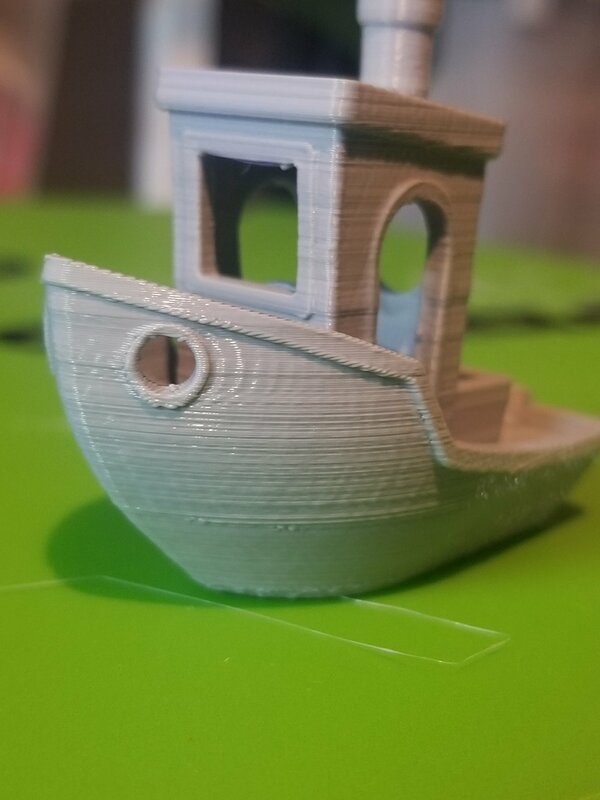 ok guys..my first Benchy(2nd attempt)! Please take a look and point any issues and Cura changes you can recommend to make look smoother. 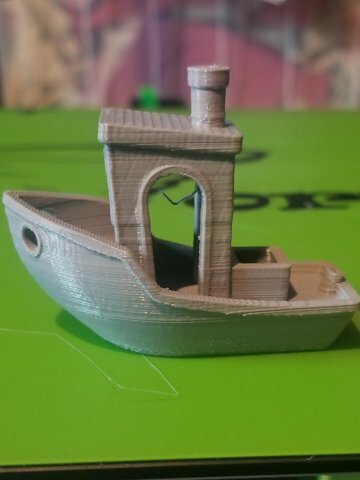 I'm new to this hobby and dont know what too look for or know limitations of printing. The only thing that catches my newb eyes are a couple lines that stick out more than others, going across the side. what causes this? 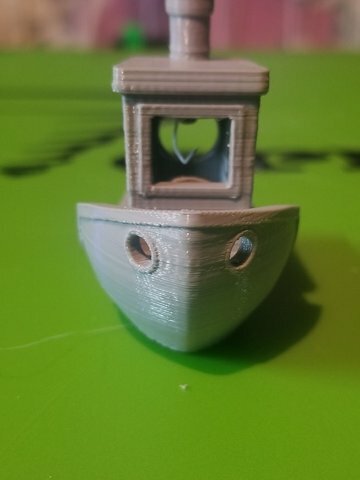 The picture of the BAD benchy was printed before I got the hang of leveling the bed. Pretty good. I'd be happy with that. But there are a few things you can improve. The thing that bothers me the most about this print is those horizontal lines. That could be temperature fluctuations but if so it should be obvious by watching the temp while it prints it would have to fluctuate 10C. More likely it is the Z axis. What kind of printer is this? Does it have one z screw? two? 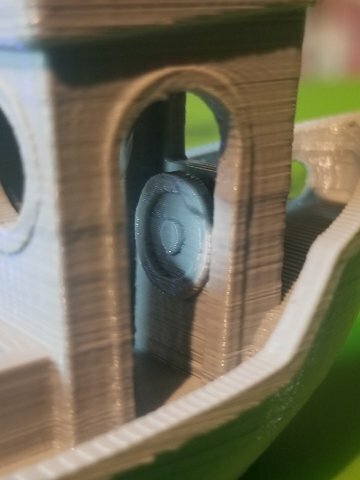 If the printer is less than a month old then you probably have a crappy z screw, or z nut, or bearings. If it's older than a month then hopefully the z screw is just dirty and needs cleaning. What is happening is that Z movement is inconsistent. You sliced for .15mm layer height but the Z is moving too far sometimes and other times not far enough. 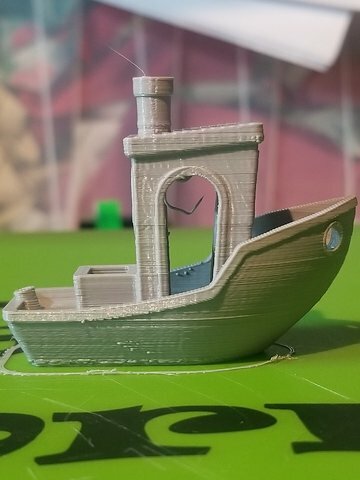 On times when it doesn't move far enough you get overextrusion because there isn't enough room to put all that filament in a layer that is say .05mm thick but enough filament for .15mm thick. So you get a layer that sticks out. When the Z moves too far you get underextrusion but it doesn't look as bad. It's still there though. If this is a new printer and it's not an ultimaker you might need to replace some or all of linear bearings, z screw, z nut to some higher quality parts. These are not expensive parts. 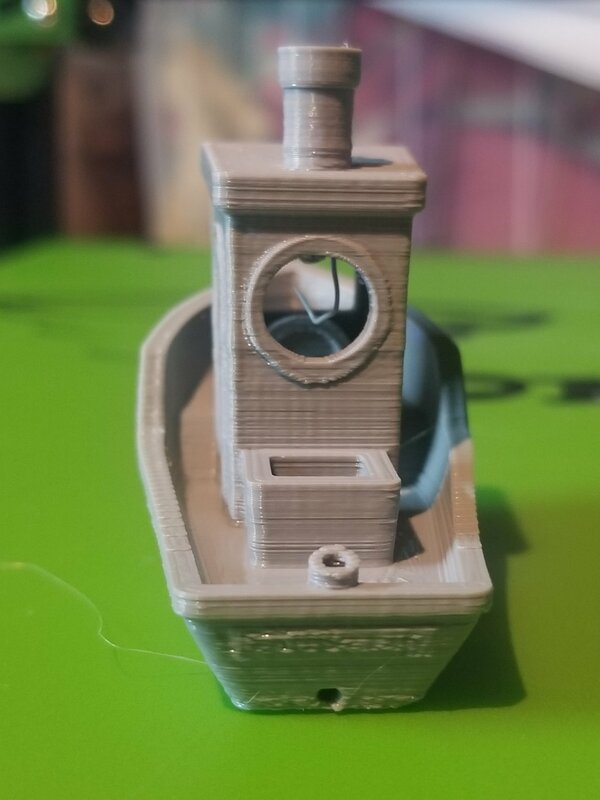 Posted May 27, 2018 · FIrst completed Benchy, please critique. This is a Tevo Tornado. Out of the box for a couple days. 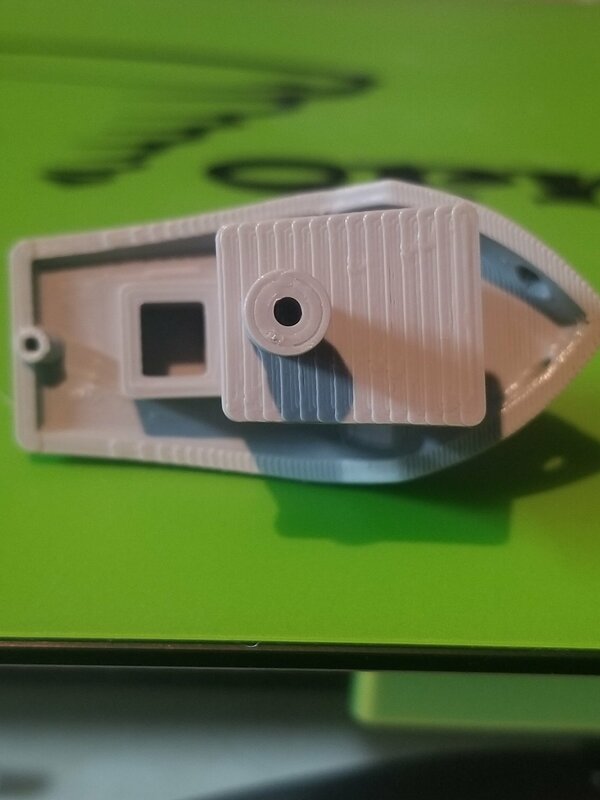 It has One Z-screw/rod. What would you suggest for new bearings, rods, coupler ?